Sugar Free Milk Chocolate Pretzels Large. Chocolate Store, the online candy store with chocolate and candy. Sugar Free Milk Chocolate Pretzels Large - Who said you can’t enjoy a great pretzel if you are limited to Sugar Free. Not us. 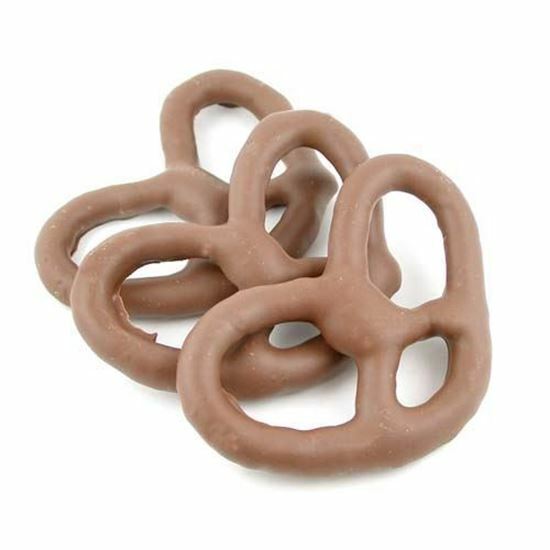 Our large pretzels, coated in a tasty Sugar Free chocolate, withstand comparison to the best pretzels available anywhere. Approximately 20 to a pound.